Think Shore Media Wordpress website design and SEO. Before we can help your website be at the top of local rankings, it needs to look amazing and work intuitively. Your google business listing might work great but most customers will also check out your website. And if yours is out dated, looks unprofessional, or is not optimized to load quickly and built with the correct code… it will hinder your goal of new customers. You need a website that will jump off the page, look great on all devices, and convert your site visitors into customers. Overall, your brand tells your story. You need a web design company to help you tell it in the best way possible. You need to contact Thinkshore Media. They are a strategic Kansas City based web design and development agency. Not only did they design this website, they have worked with hundreds of local businesses. They specialize in web design for small and medium sized businesses and organizations that are looking to enhance their overall web presence. 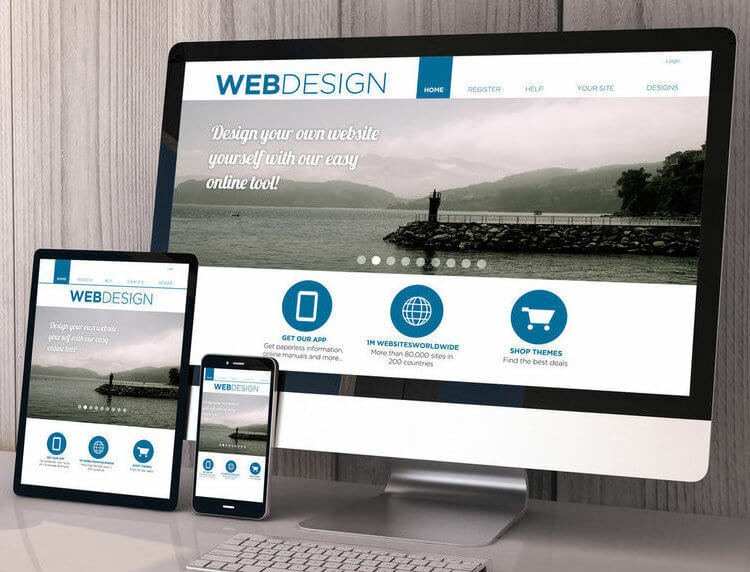 They can help you take the necessary steps to bring your web project to the next level with a focus on providing affordable website design, hosting, up-keep, and giving your business a professional look and feel. Responsiveness – Mobile is the new king. Fortunately, they create custom, responsive designs that ensure your site caters to users on mobile devices from phones to tablets. WordPress Experts – WordPress is an excellent content management software solution that is extremely powerful and enables business owners a user friendly way to update their own website. Fast Turnaround and Budget Friendly – They take pride in our high quality website design services. Turnaround time is very quick and their prices are great for small businesses. Excite prospective clients about your business! Effective web design is more than just a pretty looking page with some pictures and text. It is about layout, scale, attention to detail, clean coding and a number of other things that make a page what it is. The design of your web site is the first thing a user sees and will determine whether that visitor stays or leaves. Thinkshore Media can help you by making your site stand out and be noticed. Feel free to contact them and they will be happy to bring your website to the next level!